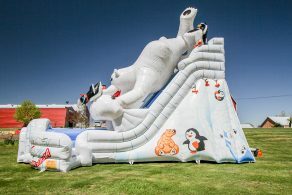 Climb up to the top and slide down as fast as you can, on one of our amazing slides! 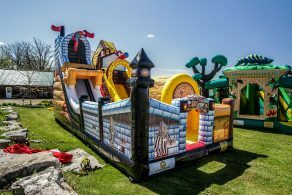 Single lane, double lane and triple lane options all available, with many different heights and themes to choose from. 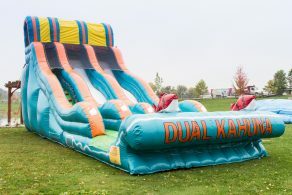 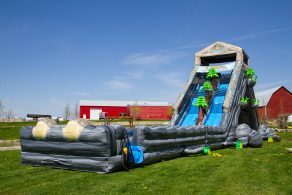 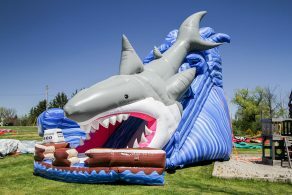 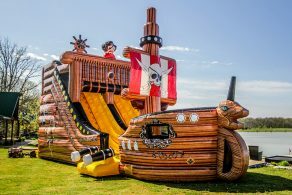 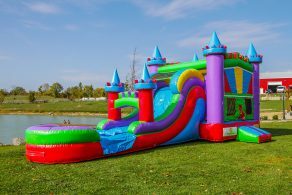 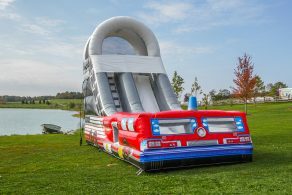 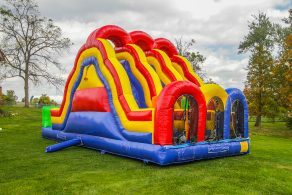 The kids can have fun racing down, these slides are sure to add excitement to any party. 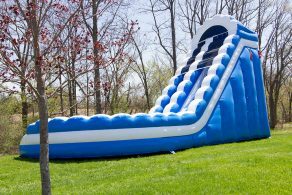 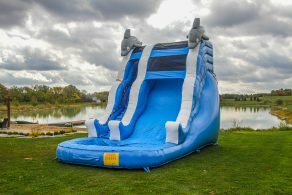 Slides are in wet and dry options, they can also be placed indoors or outdoors.